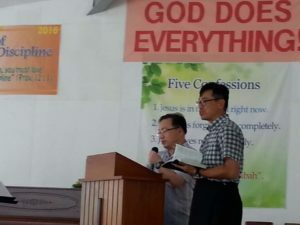 The Korean congregation worship services are held on Sunday at 1pm and Wednesday at 7.30pm. Morning prayers Monday-Friday at 5.30am. Secondary school members meet for study and fellowship on Friday evenings 7pm. Youth on Saturday evenings 5pm. 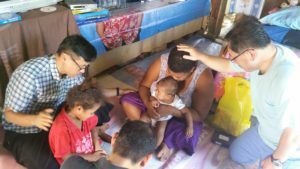 Recently a team of 9 members from our Korean Church went on an Evangelical Mission to Nasikawa Vision College, Coral Coast, Fiji, where they did sermon work with students and staff, and painted the college facilities and Indian Church. 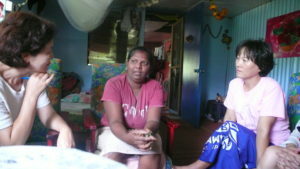 They also visited 16 homes, including Fijian, Indian and Muslim, sharing the Good News of Jesus Christ. Shore Singers is a mixed choir of over 40 members. Established in 1973 it became independent in 1975. It is a non profit volunteer group that seeks to present with a professional standard beautiful music to their audiences from a wide repertoire. From classical to modern popular genres to entertain people of all ages, to make friends with others who love music and to be of service to the community, bringing pleasure each month to a range of audiences. They also sponsor the U16 vocal aria in the annual North Shore Performing Arts Competitions thus contributing to many a young person’s music career. At the end of the year they close with a popular annual concert, with proceeds going to a local charity. The musical director is Beth Donnell who comes from a very well known musical family on the Shore. With highest musical and teacher qualifications she has taught in NZ and overseas, including London, Montreal and Sydney. Where ever she goes she has trained young people’s choirs, bands, jazz groups, and musical productions. She has also sung in choirs in these places. She came to the choir with these great credentials in 1997 after retirement from Head of Music at Takapuna Grammar. She brings great skill to the choir with her unique arrangements of many works to suit the choir voices. For the choir she is able to bring out the best, with the soloists in the choir receiving valuable encouragement and assistance. The choir still requires strong voices in all sections for men and women. 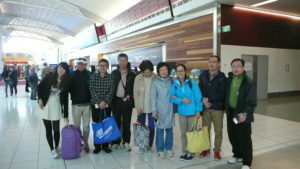 The Rainbow Club provides group activities for older Korean adults. 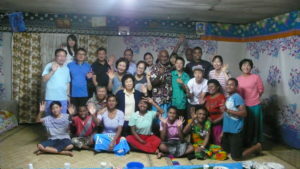 Between 50-70 Korean seniors gather for fellowship, exercise, singing, education on healthy lifestyles and English conversation classes. The group meets every Wednesday (during school terms) between 10.00am and 2pm in the Takapuna Methodist Church hall. Activities such as gentle aerobic exercise, dance or yoga are a regular part of each session. The English conversation classes are popular and the weekly singing sessions include learning the NZ anthem in Maori and English. 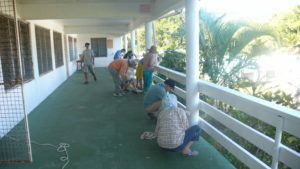 A team of 23 volunteers help run the club and cook a nutritious Korean style lunch for the members. For more information please contact Mo Shin (Rainbow Club Coordinator) on 027 417 8500. Situated in the house next door to the church is the Lollipops Child Care Centre. Lollipops employ a special team of 10 qualified, motivated, full time staff ready to meet your child’s every need. Facilities include separate play areas for babies, toddlers and over 2’s; Separate outdoor play areas for younger and older children, and an adjoining 100sqm children’s playland which is great in wet weather or when the sun starts to burn. Open from 7:45am to 6pm Monday to Friday, 52 weeks of the year excluding public holidays. Please call for any further enquiries. Weight Watchers’ unique, personalised approach to weight loss combines healthy eating, exercise and support. Join today for a bigger life in a smaller, healthier body. 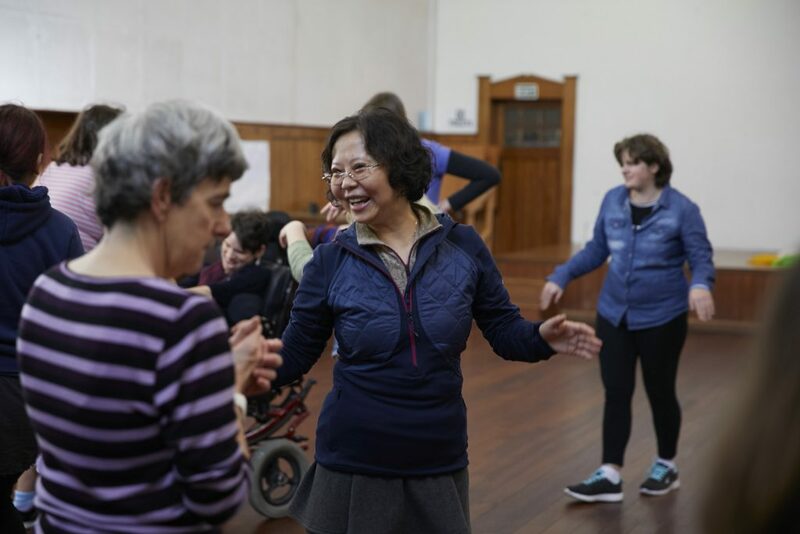 Dance & Arts Therapy New Zealand offers the Dance 4 Us programme on Thursdays 10.30-11.30am throughout the school term at Takapuna Methodist Church. Dance 4 Us is a therapeutic, community-focused programme designed to support adults and young adults with disabilities (including Cerebral Palsy, Downs Syndrome, cognitive delays & physical disabilities – wheelchairs and mobility issues). By participating in Dance 4 Us, attendees develop a further sense of belonging along with experiencing being part of a positive, accepting community. Attendees are given opportunities to discover their own unique talents and strengths, as well as the chance to learn and value cultural diversity. Sessions are drop-in style, koha entry. 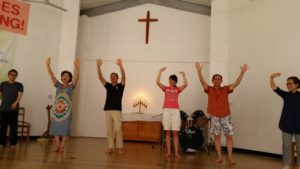 All sessions are led by a qualified Dance Movement Therapist and can have up to 30 individuals.